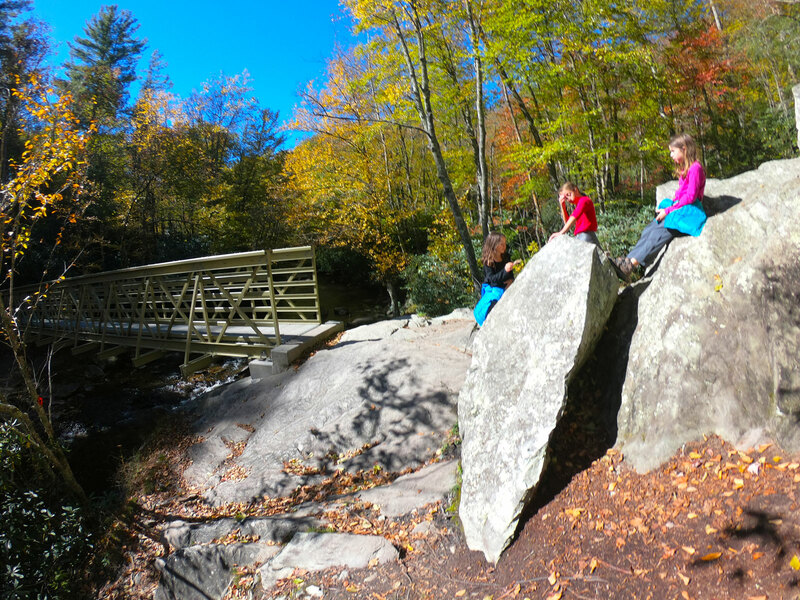 Nestled comfortably between the towns of Blowing Rock and Linville, Julian Price Campground at milepost 297 cuddles up with Price Lake and makes for a great basecamp. 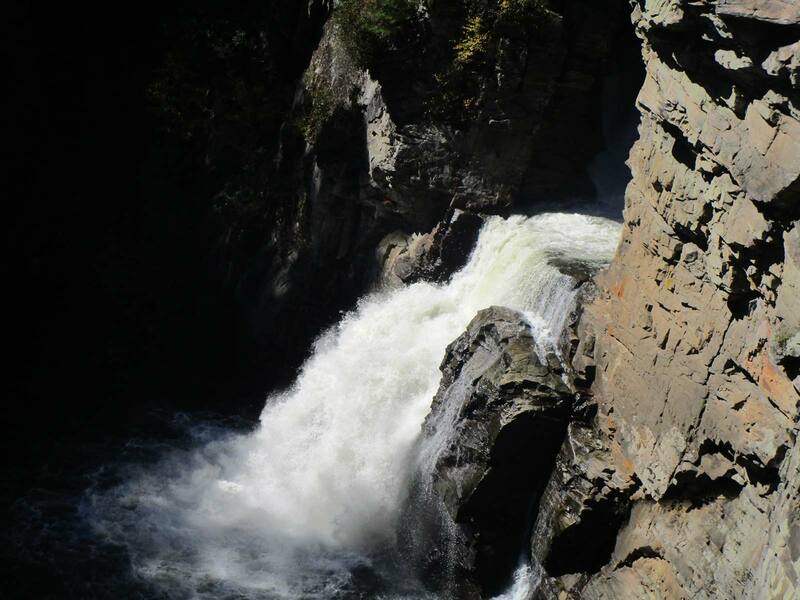 Julian Price Memorial Park– 4,200 acres – was a gift to the National Parks Service (NPS) from the founder of the Jefferson Pilot Standard Life Insurance Company not long after his death in 1947. 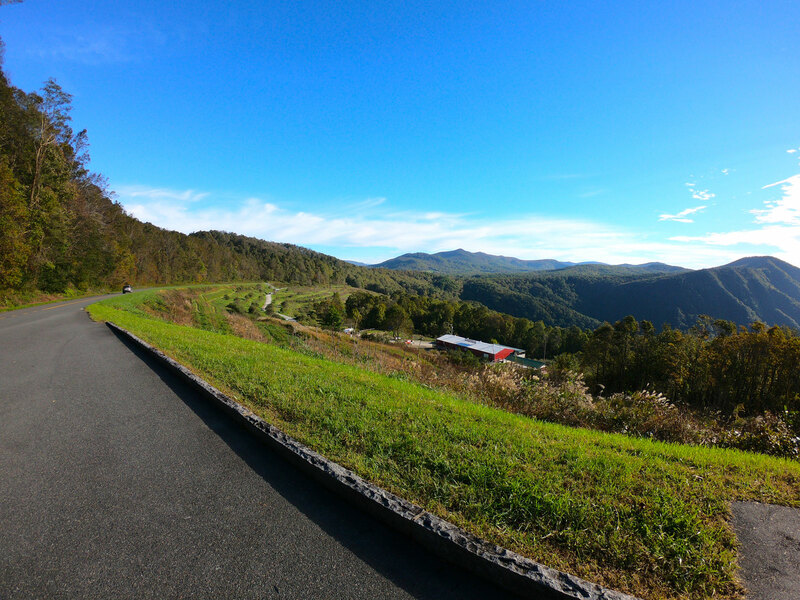 Combined with the adjacent Moses H. Cone Memorial Park, it encompasses the largest undeveloped area set aside for public exploration on the entire Blue Ridge Parkway. 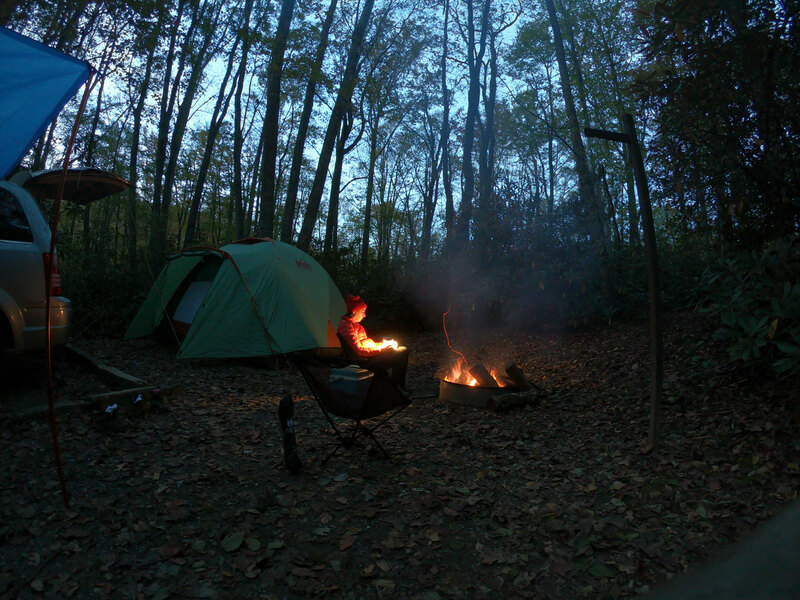 Maintained by the NPS, the Julian Price campground has 197 sites spread over 5 loops on both sides of the parkway. 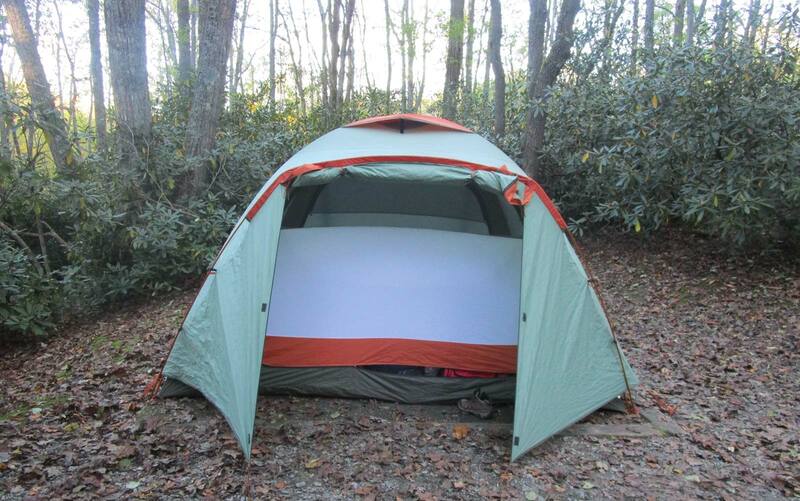 Loop A is on the 47-acre Price Lake and also contains 3 premier campsites – 9, 10 and 19. These three are lakefront with unobstructed views and lake access. Two excellent hikes trailhead within the Julian Price campground boundaries. 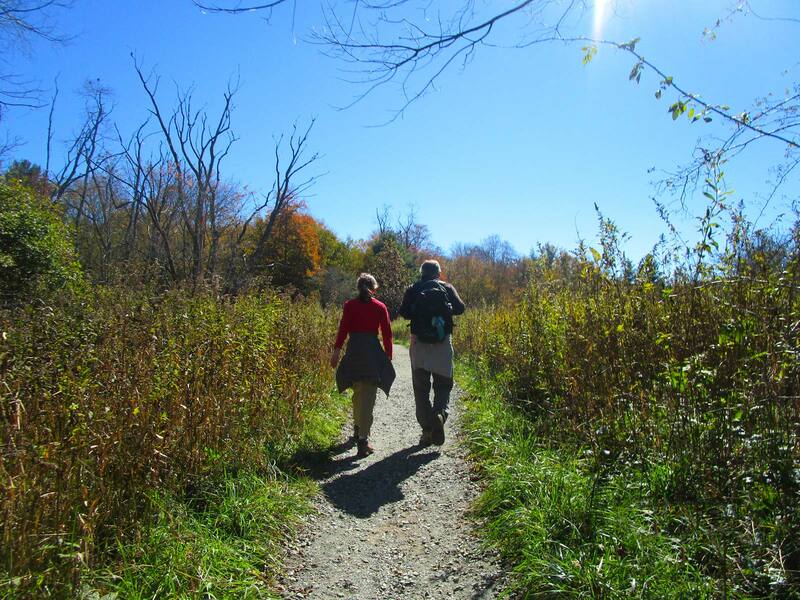 The easier of the two is the Price Lake loop which departs from loop A and continues 1.2 miles along a well-worn and mostly flat trail around the lake. 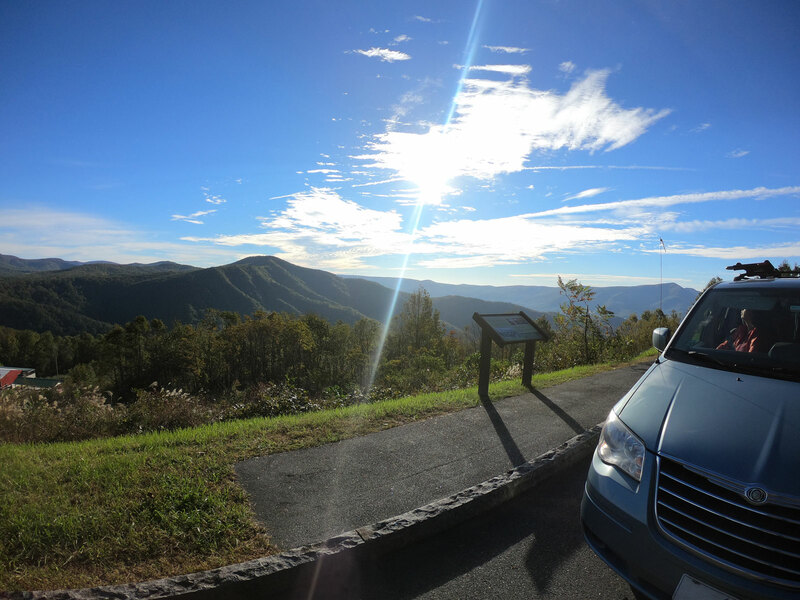 The rolling Blue Ridge mountains and sparkling Price Lake are perfect backdrops for a relaxing picnic or sunset stroll. 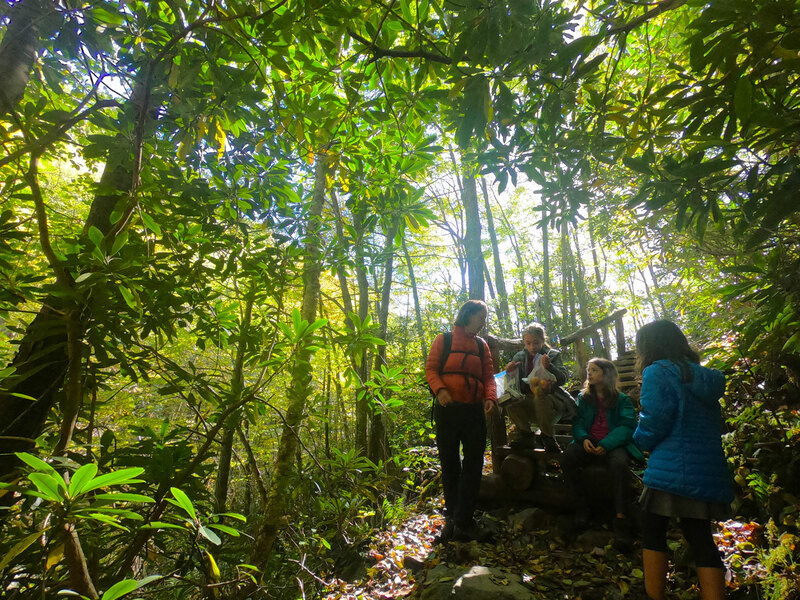 Want to introduce your team to a longer trek? 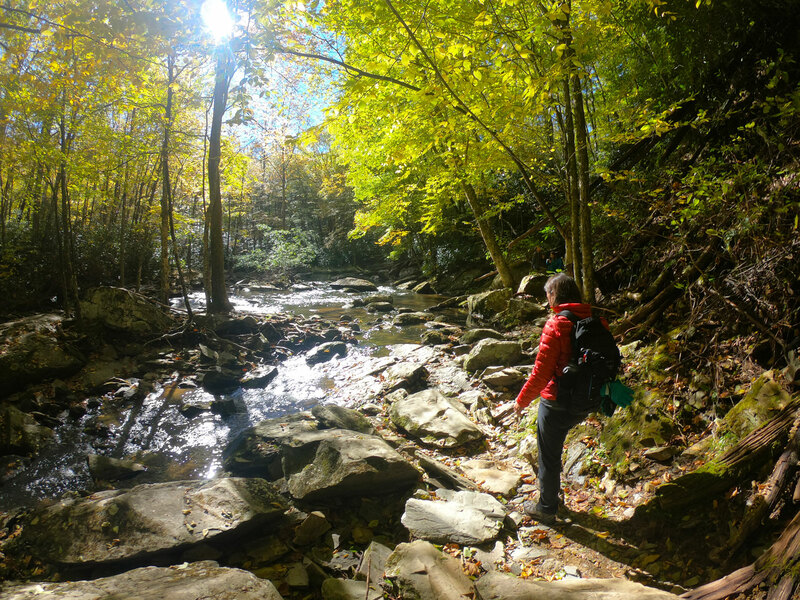 The Boone Fork Trail (BFT), a 5.5 mile loop, would be an ideal candidate. 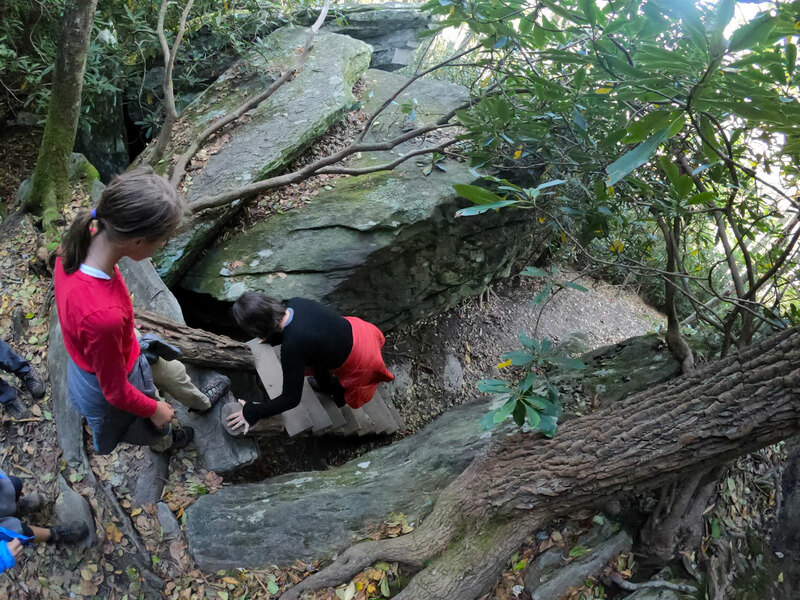 The miles tick by surprisingly fast as the trail takes you through green tunnels of rhododendron, scrambles up and down house-sized boulders, and navigates a dozen or so water crossings – both big and small. 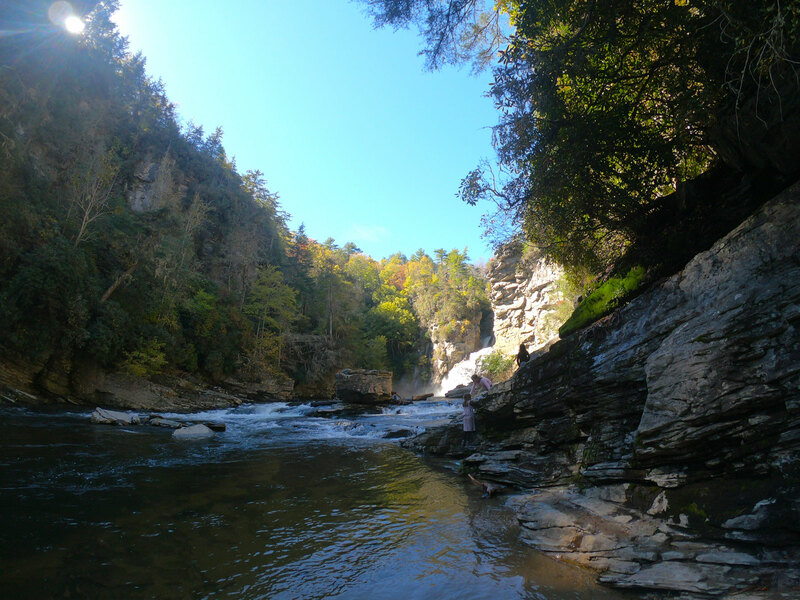 This moderate to strenuous trail is well-marked as it rambles through a variety of mountain ecosystems. Start clockwise from loop B which begins with a warm-you-up climb through tunnels of rhododendron before it hooks up with the Mountains-to-Sea Trail for a ridgeline trace. 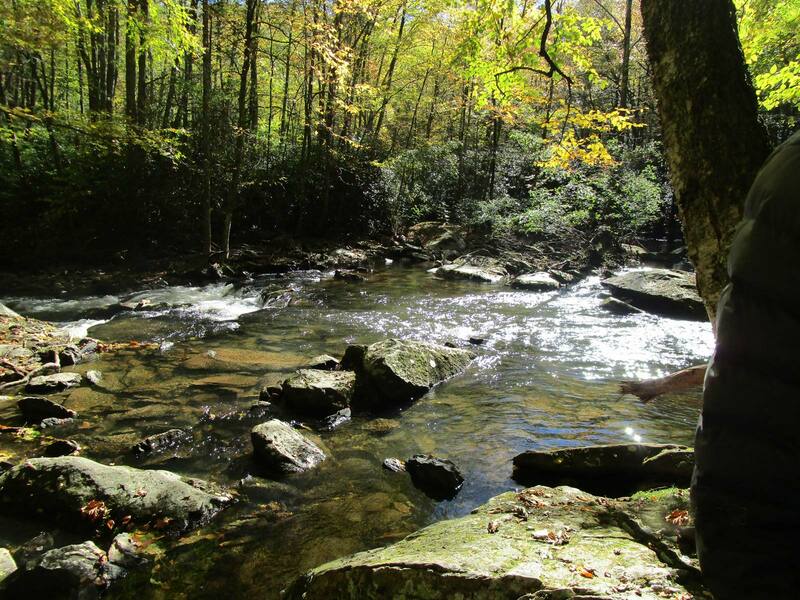 Then start a long, slow descent through mountain laurels to the Boone Fork River. Keep a sharp eye out for snakes, and ears open for bear. While not required, a side arm of bear spray would not be a bad idea. The gentle assent from the river bottom, accented by a few ladders, finishes in the swampy bog of an old lake bed before ending back at camp. If you leave around 8am, you'll easily finish in time for lunch. 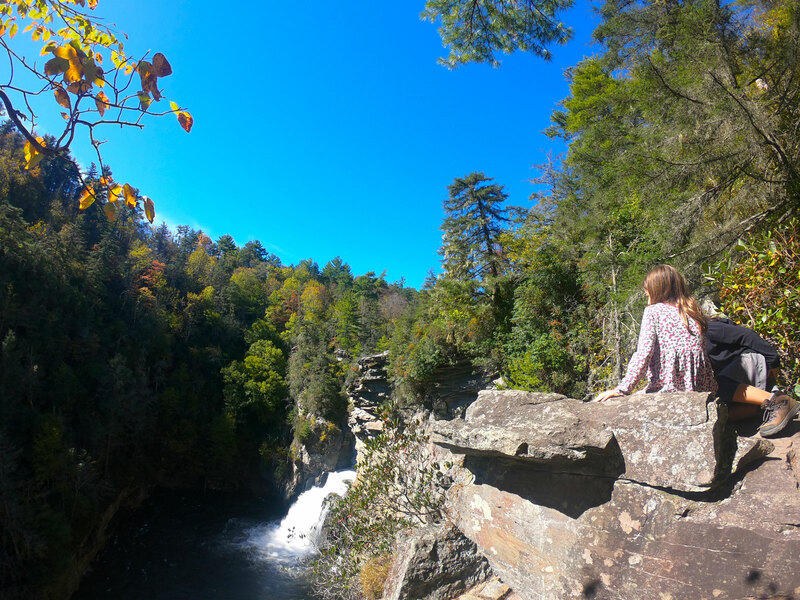 We're not sure any trip to the area would be complete without a hike to Linville Falls, just ten pleasant mile markers away from the Julian Price basecamp. If going on the weekend, be prepared for larger crowds and a full parking lot. Best advice is to go early to avoid both. 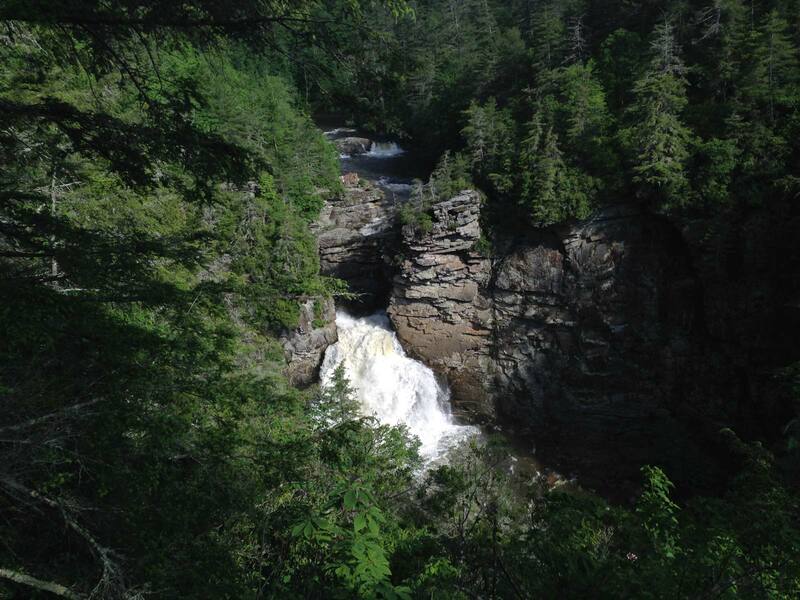 With an early arrival, get a map from the visitor center, and then take the moderate Erwins View Trail (1.6 mile RT) to the Upper Falls, stopping at four overlooks. The stunning views are worth the effort. 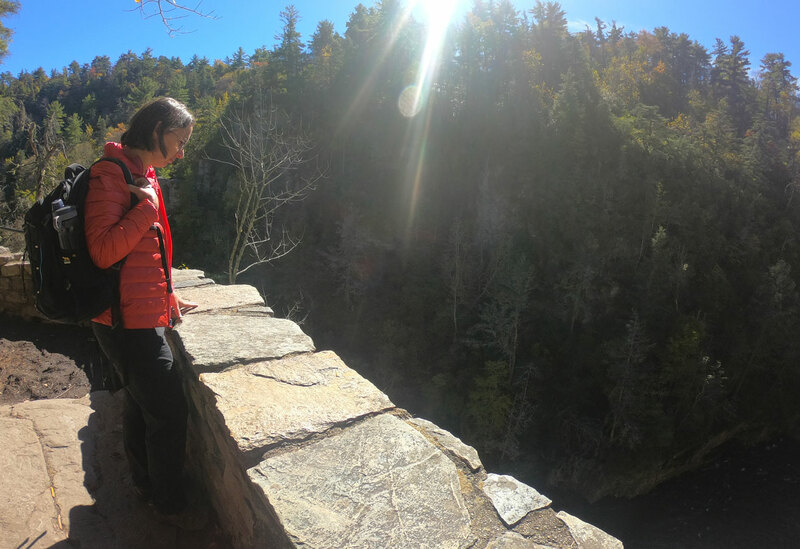 A little secret for a quieter, but more challenging hike is to look for the unassuming Linville Gorge Trailhead (1.5 mile RT) to the left of the visitor center. 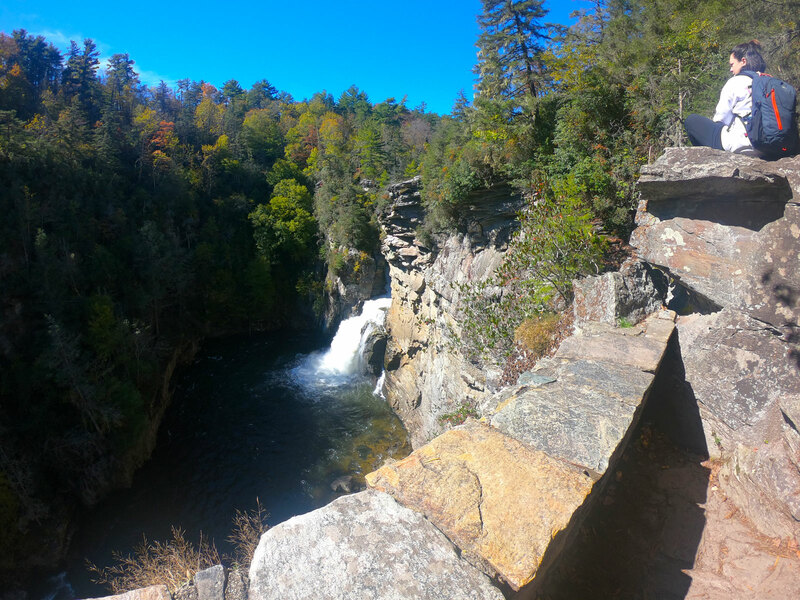 This steep, rocky trail will take you and your fellow hikers to the base of the gorgeous falls - Linville Gorge. For an additional viewpoint on your return hike, take the fork to the Plunge Basin Overlook (1 mile RT from visitor center). You could easily blaze by milepost 328, but you'd be sad if you missed the Historic Orchard at Alta Pass. 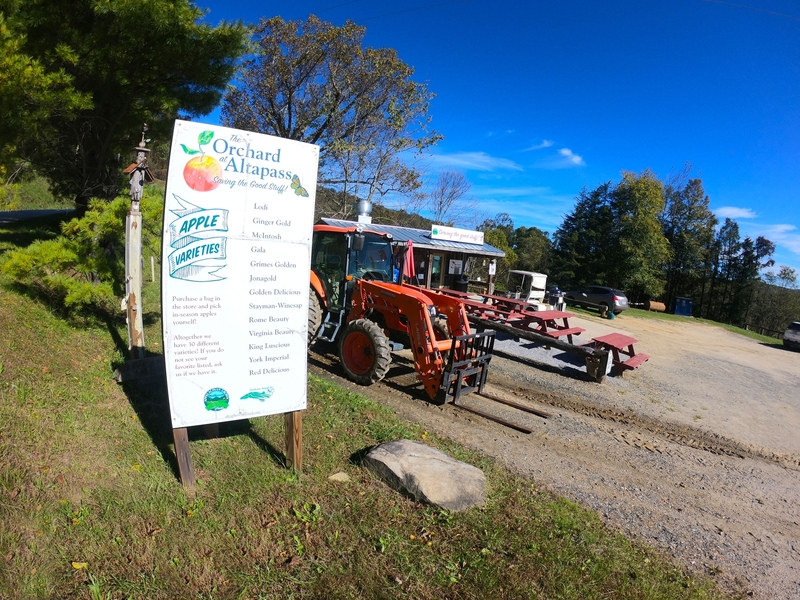 Rich in history, this locally owned-and-operated apple orchard is one part museum, one part music venue, and just a little touristy. Don't be scared off by the locals who frequent the Saturday live music and dancing. They are a welcoming bunch who can teach you a thing or two about cutting a rug. 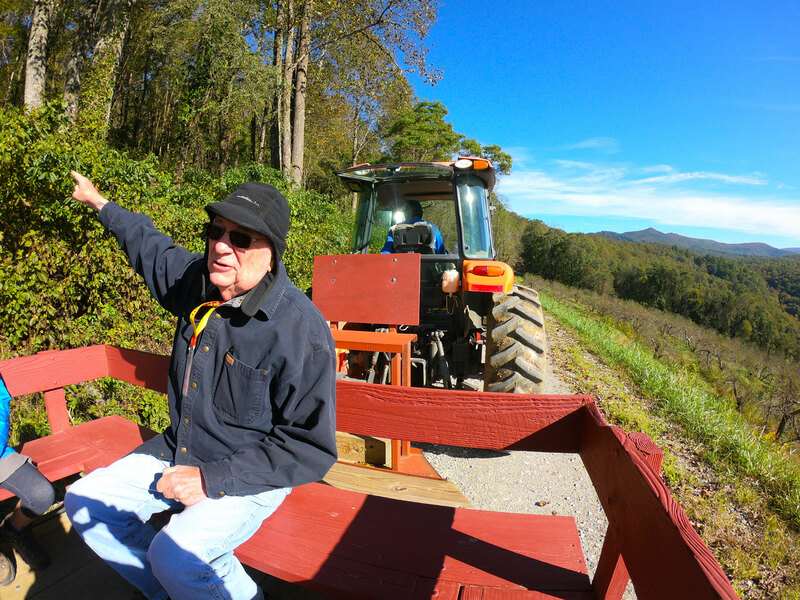 If your party is large enough, arrange a story-telling hayride with The Historic Orchard c0-founder Bill Carson. Along the 45-minute tractor pull, he'll tell you some of the history of the place and how it fit into a key Revolutionary War battle. 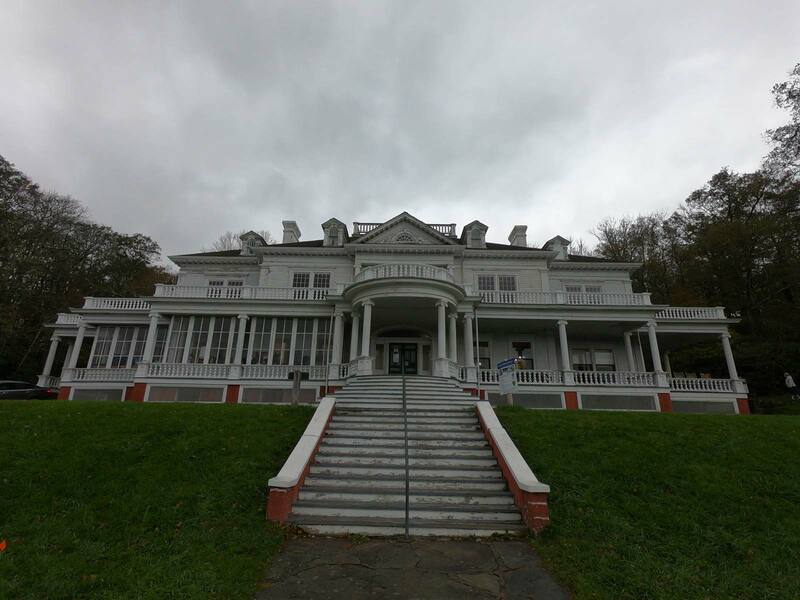 If you are a fan of turn-of-the-century tycoon estates, then put Blue Ridge Parkway milepost 294 and the Moses Cone Memorial Park on your short list -- the summer manor house of textile entrepreneur, philanthropist, and conservationist Moses H. Cone. 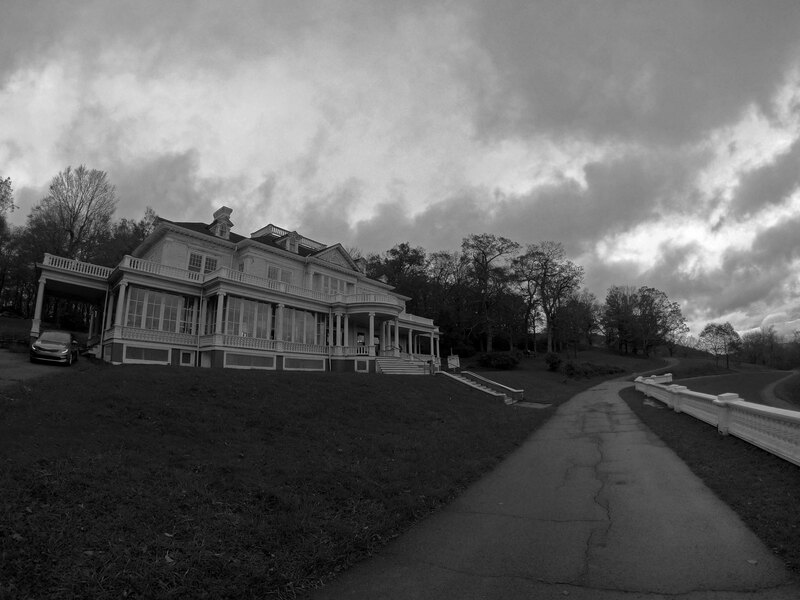 Now run by the National Parks Service, the 14,000 sq ft 'Flat Top Manor' has seasonal ranger-led programs and self-guided tours accented by friendly and knowledgeable docents. Twenty-five miles of hiking and bridle paths also wind themselves along the 3,500 hillside acreage. 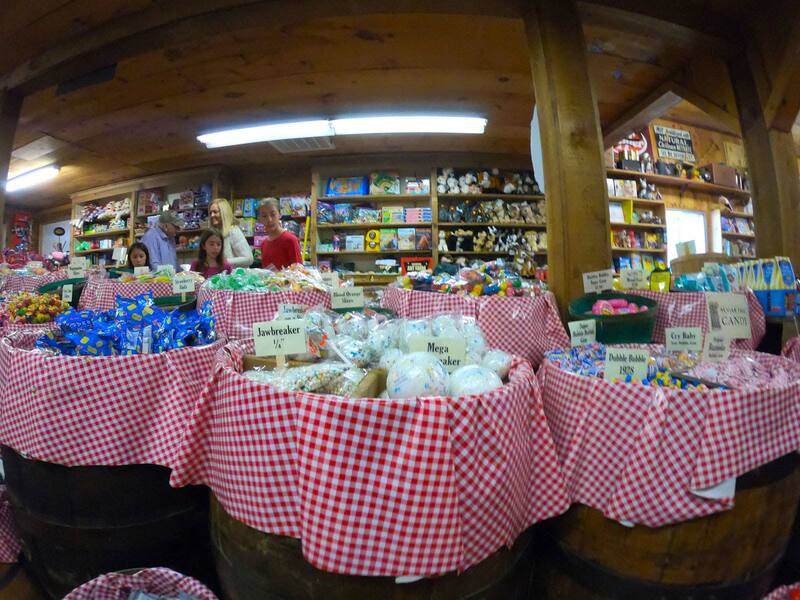 A little off the beaten path, but well-worth the effort is a visit to the Mast General Store Annex in Valle Crucis. An old-fashioned candy shop, there is an entire room on the first floor with baskets full of all sorts of confectionary goodness and walls lined with a whole manner of tchotchke, knick-knacks, and curiosities. Give your kids (and yourself) a bucket and a weight limit, and let them go to town. Bears frequent the area. Do not leave out food or hang trash from lantern posts; lock car doors. Loop A located on Price Lake. Loop C has old bathrooms - dingy and small. No handsoap. Need lantern or headlamps at night. Brand-new bathrooms in Loop D + hot showers. Rustic atmosphere serving barbeque, burgers, and Mexican food.